This Memorial Day weekend, music reigns. 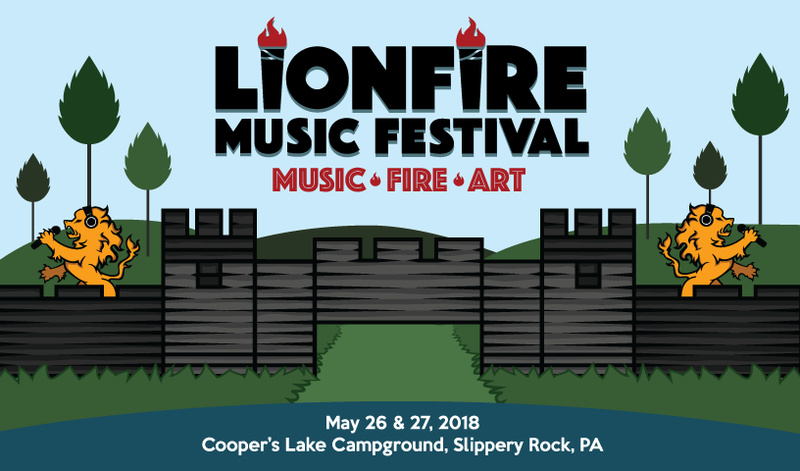 LionFire Music Festival blends music, fire, and art, drawing inspiration from the Dark Ages with a modern twist. The two-day music event features a cool blend of alternative rock, jam bands and electronic vibes. Lords and ladies from across the land are cordially invited to come together for a weekend full of music meant to move your soul, medieval-themed games, live art installations, fire dancers and more! The 2018 lineup features indie alt-rock sensation, Moon Taxi, and electro/funk duo The Floozies, along with fire performances by two-time Guinness World Record holder, Ohio Burn Unit, an artist market with Wicked Pittsburgh, and the ultimate game of tag you never knew you needed, Archery Tag. Aside from all the fun things to see and do, there will be plenty of great food & beverage options available for purchase from our various concessions vendors, food trucks and beer garden. Now featuring a special guest appearance by Pittsburgh's very own, Gabby Barrett on Sunday, May 27th! All General Admission tickets are lawn seating.